Recently I have been seeing a lot more of the studs and spikes trend; both in stores, and in my own closet. What can I say, I am absolutely in love with it! It's both chic & edgy, while at the same time, wearing it makes me feel both, more daring, and more badass. 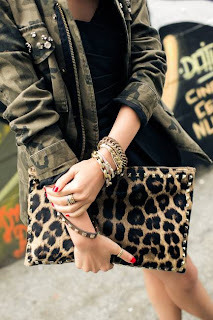 I know it might sound silly, but honestly that's what I love about fashion; it has the ability to completely change the way you feel, and think about yourself. 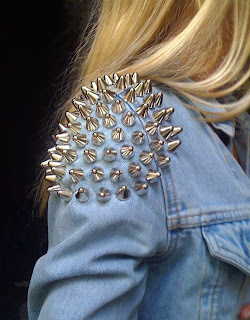 As many of you may have been able to tell from my most recent post, in which I showed pictures of my purchases from Forever 21, I somehow managed to purchase pieces in which nearly every single one had either studs or spikes on it, which is definitely saying something about my love for this trend. 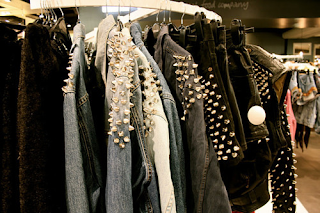 Not to mention that I already owned a few other pieces that sport this particular style, even before my recent shopping excursion, and I definitely plan on purchasing many more pieces with studs and spikes in the coming months. So yeah, I guess you could say I'm a tad obsessed! 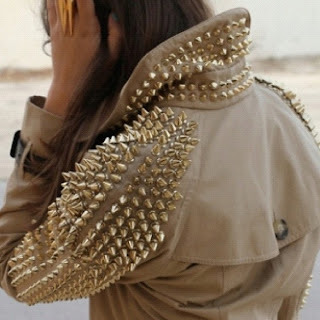 Studs and spikes are such a fun and trendy way to add some edginess to an otherwise plain, or girly outfit. 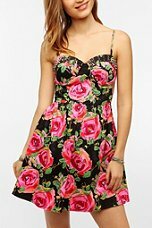 I absolutely love finding pieces like a floral dress, or a pair of colored shorts that have stud detailing on them. It's so different, and unexpected, and yet so perfect. 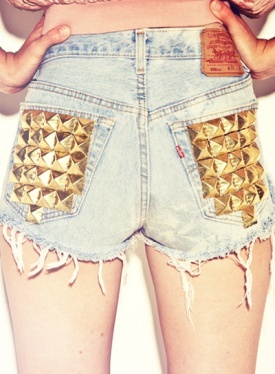 So if you want to add a touch of edginess to your wardrobe this spring/summer season why not?! 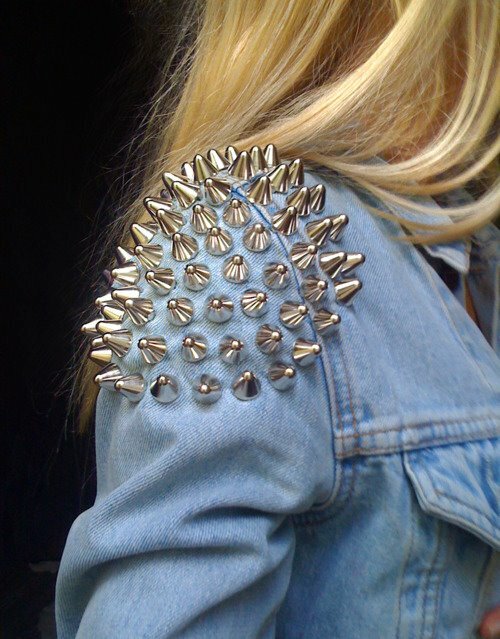 Be bold, be daring, go ahead, buy some clothing pieces with studs and spikes, release your inner badass. You know you want too.